Aging and degeneration is felt to be preceded by early onset mitochondrial dysfunction. The mitochondria are the engines (the power source) within every cell in your body. When the mitochondria stop functioning well, your body deteriorates and you age before you should. Early onset mitochondrial dysfunction (EOMD) is the deterioration of your mitochondria prematurely. EOMD occurs due to a decrease in total oxygen utilization. This is caused by stress, toxicity, nutritional deficiencies, sleep deprivation, hormonal imbalances, hypoxia, infections, and inflammation. 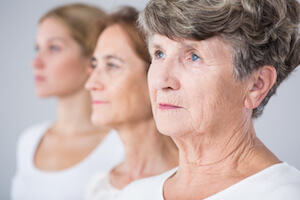 EOMD can accelerate the aging process. The good news is that the processes that cause EOMD can be addressed and the dysfunction can be reversed. The degree of success in the anti-aging strategies that you utilize can be measured with Bio-Energy testing. Bio-Energy Testing can assist us in adjusting your treatment program. It can also determine the best heart rate for your body to burn fat and to maximize fitness. Each body is different and the Bio-Energy test assists us in customizing your care.